Dr. Priya Selvaraj, MD MNAMS MCE, is a fertility specialist, clinician, and embryologist, with more than 17 years of experience in the field of ART, and is the Assistant Director of G.G.Hospital. 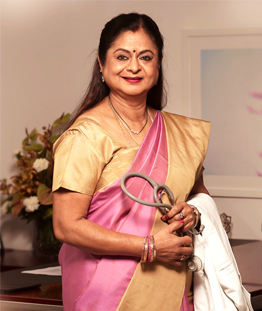 She completed her Masters in Obstetrics and Gynecology (MD) from Sri Ramachandra Medical College and Research Institute and a Diplomate National Board (MNAMS) in 2000. She is trained in Assisted Reproductive Technology (ART) and endoscopy from National University Hospital (NUH), Singapore as well as University of Kiel, Germany. She obtained her Masters in Clinical Embryology (MCE) from the prestigious Jones Institute of reproductive medicine, Norfolk, Virginia in 2006. She has journal publications as well as research presentations to her credit at national and international level. 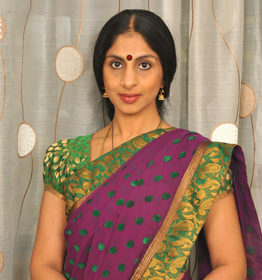 She commissioned India’s first births of a singleton and twins born from frozen-thawed oocytes by two different methods (slow freezing and vitrification) in the years 2008 and 2009. She has also established a successful pre-implantation genetic screening program at GG, in 2013 and that resulted in South India’s first twin births following Pre-implantation genetic screening (PGS), in November 2014. She is a recipient of the outstanding women achiever award from Tamil Nadu Dr. MGR Medical University in the year 2012 and more recently the Wellness Ambassador Award in 2016. Recently, She commissioned India’s first surrogate birth following egg extraction from an ovary transpositioned under the skin – 2019. 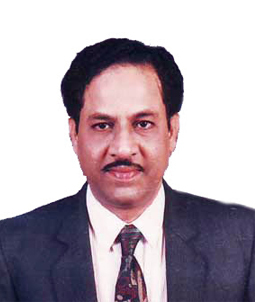 MBBS (Ist year MBBS) - Sir Raja Muthiah Medical College, Annamalai University, Chidambaram, India ( 1991 Aug – 1992 Dec). Ph.D in Reproductive medicine at Dr. MGR Medical University (Comparison Of Post Thaw Survival And Fertilization Rate Of Cryopreserved Human Oocytes: Slow Freeze Vs Vitrification) – in process. International Membership in American society for Reproductive medicine. (ASRM). International Membership in European society of Human Reproduction & Embryology (ESHRE). 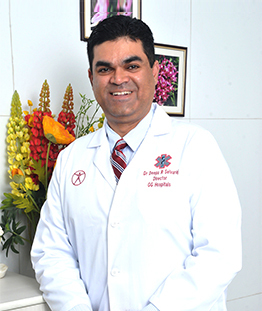 The Indian association of Gynecological endoscopists (IAGE) - Life member. Commissioned the 1st Frozen Oocyte Pregnancy by the slow freezing technique in India - 2008. Commissioned the 1st Preimplanatation Genetic Screening (PGS) Pregnancy in South India 2014. Commissioned the India's first surrogate birth following egg extraction from an ovary transpositioned under the skin - 2019. Organized and conducted In Vitro Fertilization (IVF) workshop in association with Institute for Research and Training in Reproductive Health(Kolkata), from November 23rd -27th, 2009 at GG Hospital. “Successful Pregnancy in a patient with a 46, XY Karyotype”., Volume 78 No.2, August 2002. “Inside the tube and closer to Nature?”.––Vol.9, No.4, 475. October 2004. “From Oogonia to mature oocytes : Inactivation of the maternal centrosome in humans: May 2001, Dr.Henry Sathananthan, Dr.Kamala Selvaraj, Dr.Priya Selvaraj - distributed as CD’s. “A spontaneous successful second pregnancy in an established case of Premature Ovarain Failure”. May/June 2003. “Ectopic pregnancy in ART”. Volume 7, No:5, May 2002. “Successful pregnancy outcome with conservative treatment in Heterotopic pregnancies”: a report of three cases, Vol VIII, No. 4, april 2003. Organised and hosted the 4th National congress (ISAR 1998) on Assisted Reproductive Technology and advances in Infertility management in February 1998. 7th National Congress (ISAR 2001) held at Guwahati, India Feb 2001. Presented a poster on“ Preimplantation Genetic Testing For Aneuploidy (Pgt-A) - Should It Be A Universal Or Specifically Indicated Application?” at the 5th CoGEN Congress in Paris from November 1-3, 2018. Presented a lecture on “Fertility Preservation - Clinical, Surgical and lab preservatives” at the 35th Annual conference OGSSICON held at Hotel Taj Connemara, Chennai on 11th November 2018. Presented a lecture on “Trigger” at the Salem Tapisar 2018 held at Hotel Radisson Blu, Salem on 24th November 2018.